The challenges are real. In July 2017 the latest CBI study of leaders reported one third of companies were dissatisfied with graduates’ attitude to work and ability to ‘self-manage’. The ‘snowflake generation’ have been described as being more prone to take offence and less resilient that previous generations. Add to that the casual dress code and the ever-present take-away coffee cup in one hand and smart phone in the other, our more traditional workplaces could easily make assumptions about their approach to professionalism. Branded the most entitled and self-absorbed generation in human history, by 2030 it is estimated that millennials will make up 75% of the workforce so we need to evolve our workplaces to attract, retain and get the best out of the young talent arriving in our organisations. So how do we make the public sector attractive to ‘generation Y’? 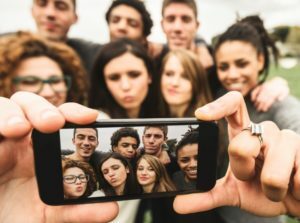 Millennials are the first generation to grow up using computers and smartphones and therefore it is no surprise that their relationship with technology is unique. Because of this, the lines between the personal and professional have been permanently blurred. They don’t ‘go to work’ they just work. We need to be better at managing by outcomes, not being suspicious of those ‘working at home’ and embrace the flexibility of this blended approach. We know that millennials are generally motivated by making a contribution to society and working for employers who engage with social issues – two big ticks for the public sector. We also know that they are impatient for promotion, value workplace relationships highly and are motivated by feeling they are part of delivering the big picture. So, we need to get better at focussing on engagement (the evidence of correlation between elevated levels of engagement and performance should anyway be enough motivation to do so), re-consider our hierarchical structures and promotion routes and maybe, finally say goodbye to the annual appraisal and embrace on-going assessment, dynamic targeting and reward by outcome. 44% of millennials would leave their current employer in the next 2 years if given the choice and two-thirds of millennials would move on by 2020, according to the Deloitte Millennial Survey 2016. But we know they are as keen and enthusiastic as any previous generation to learn and grow. We need to move away from judging success by longevity – surely better to have a talented individual for 2 years than someone less talented for 20? Six in ten millennials say that a sense of purpose is part of the reason they chose to work for their current employers – so we need to enable them to understand how their efforts fit into and contribute to the grand scheme of things. So, focus on engagement, reward great performance, create clarity around vision, become more flexible, adaptable and open to opportunity…..is this so different to what we have aspired to do well for such a long time? Maybe growing numbers of millennials in our workforces is an opportunity to finally achieve that!